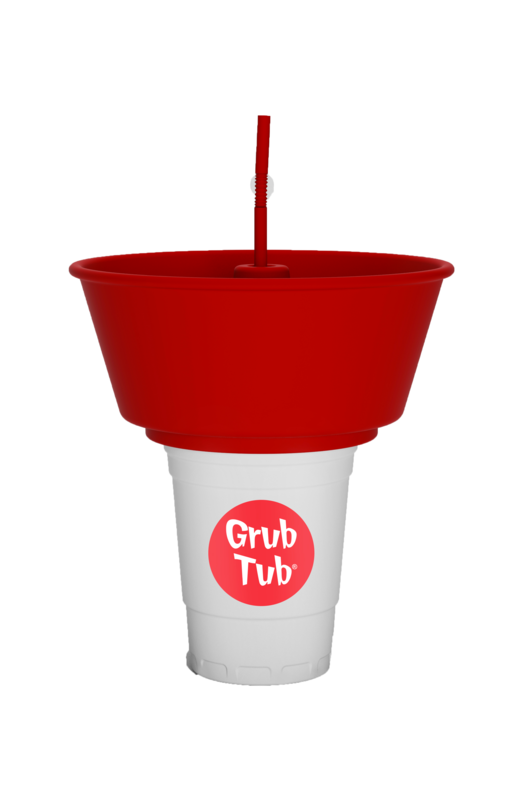 This is the first version of the Grub Tub which was released in 2016. Levy Restaurants were the first to recognize the great potential in the Grub Tub and how it can change the food and beverage industry with some people calling it "the greatest invention since man discovered fire". It accumulated over 1 million likes and shares through Instagram, Twitter and Facebook, while even getting featured on NBA TV - The Starters. It was even featured in Sports Illustrated as "Yankees' true prized possession". This version of the Grub Tub can be found on venues across the US as they are being used by the Houston Rockets, Green Bay Packers, NY Yankees, are only a few that are currently using this version) and even worldwide in Brazil, Mexico, Izrael, etc. After a lot of success of its predecessor, the next version "Squared" came to life in 2017, specially designed for our friends at Nathan's Famous. 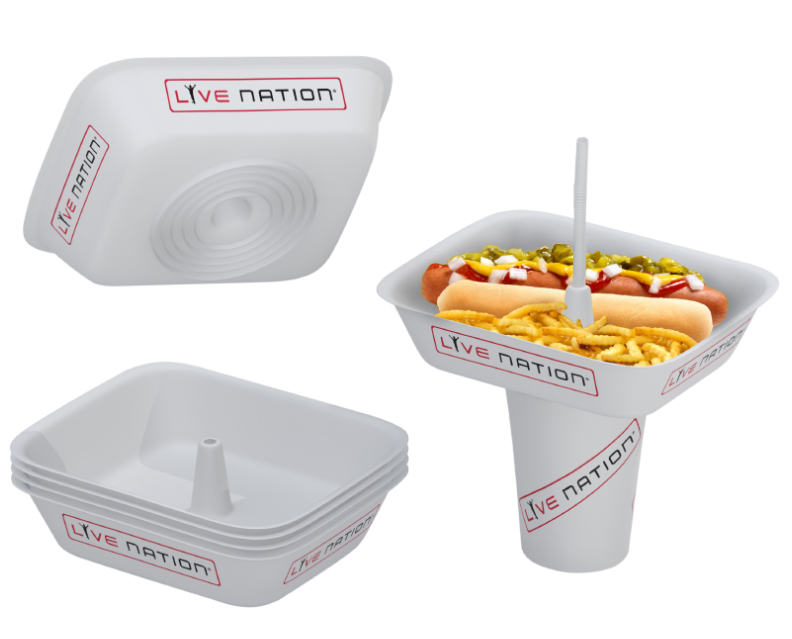 This version of the Grub Tub was designed so it can easily fit one specific food that Nathan's is globally known for - hot dogs and the feedback from their customers was amazing! Not only was this version functional because it allowed their customers to carry their food and drink, but it was a great hit on social media which you can see for yourself if you check out #grubtub on Instagram! Thanks to the amazing feedback we got for the previous two versions, we are proud to present the Oval Grub Tub. It's a combination of the Round and Squared version and was designed to satisfy the needs of our various clients. When it comes to functionality, it's the same as any other version as it fits any size cups, bottles and even cans! 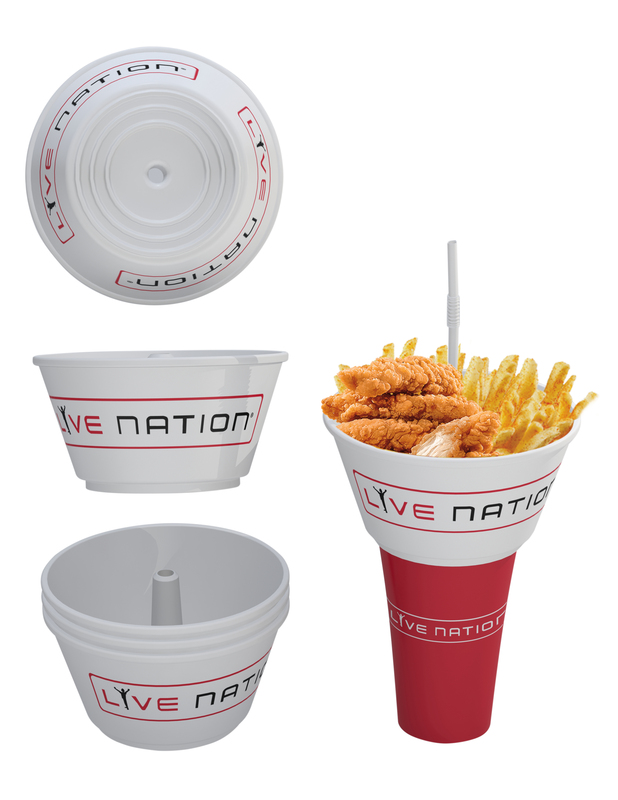 It is currently on it's way to being used at all Live Nation events throughout the country! Our latest version of the Grub Tub has a small twist - it's made out of melamine as opposed to the previous three versions that are made out of polypropylene. 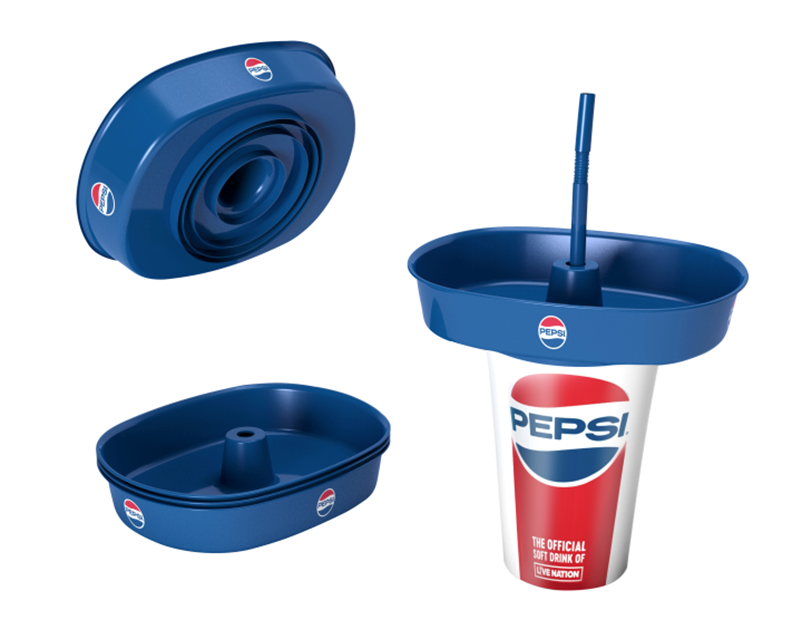 When it comes to the functionality everything is the same, which means that it fits on all standard sized bottles, cans and cups, while it also fits into every standard stadium seat holder as well. Therefor it is a more durable and heavier version of the "greatest invention since mankind discovered fire" as the Houston Chronicle called it! Interested in getting Grub Tubs? Call us today at (310) 372 - 9709 or email at info@rpassociates.us and get your version of the Grub Tub today!